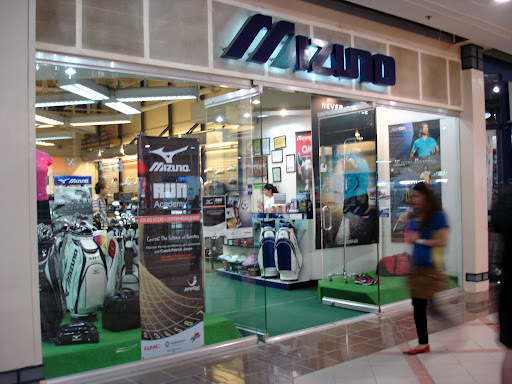 Today I went to Mizuno in Filinvest Alabang for the 1st session of the Mizuno Run Academy. Our class was a small one, consisting of only eight students and Coach Patrick Joson. Each student was given a bag. 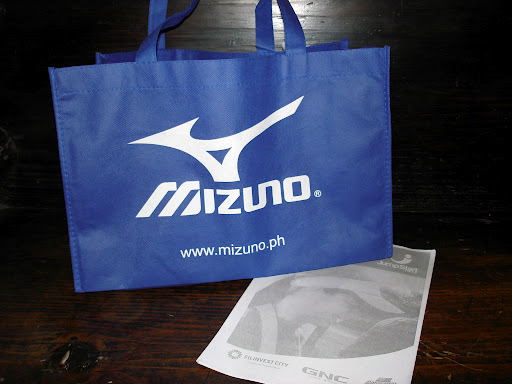 Inside were two Mizuno singlets, Mizuno Prestige Card, GNC P500 gift card, class card, and handouts for the lecture. Coach Patrick is the first Filipino US certified POSE method coach. At first he lectured about the biomechanics of running. He explained it in a scientific way that it seemed that we were attending a physics class. It all made sense. 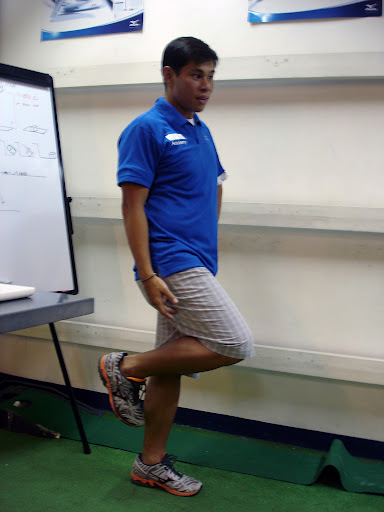 He taught us balance and coordination, voluntary and involuntary movements, and proper posture for efficient running. Pose breaks running into three elements: Pose (standing into the Pose), Fall (falling from mid-stance/support), and Pull (recovery by pulling). A runner must create a steady state of unbalance to allow gravity to drive the body forward. From the ankle and hips, slightly lean forward to create the state of unbalance. You will then naturally fall when there is a state of unbalance. After the fall, the weight of the body must land on the ball of the foot. At the same time, pull the other foot off the ground using the hamstrings with quads relaxed. This way, the body is moved forward without tiring the muscles. Pose – Fall – Pull. It sounds so easy but the hard part is that I have to unlearn my old bad habits in running. It will take practice to run this way and to develop muscle memory to achieve top speed and distance. I am so glad I enrolled in this Run Academy. I was not disappointed. 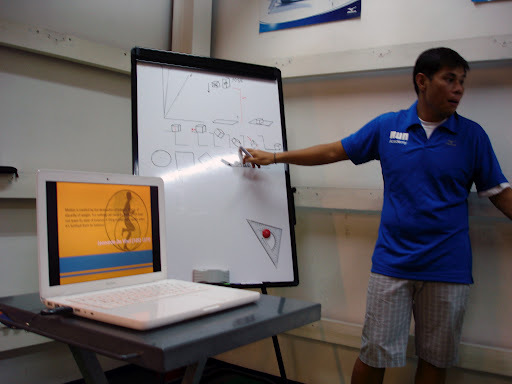 Coach Patrick was so passionate about the subject and he was not stingy in giving pointers and answering our questions. He was still lecturing us, his eager students, up to the time when we were already going down the escalator to the parking lot. What an interesting night it had been! Can’t wait for next week’s session.